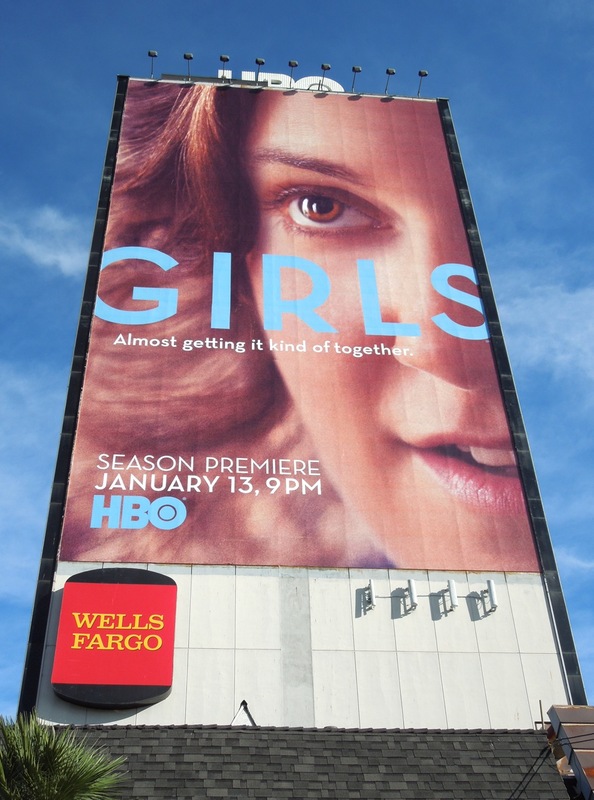 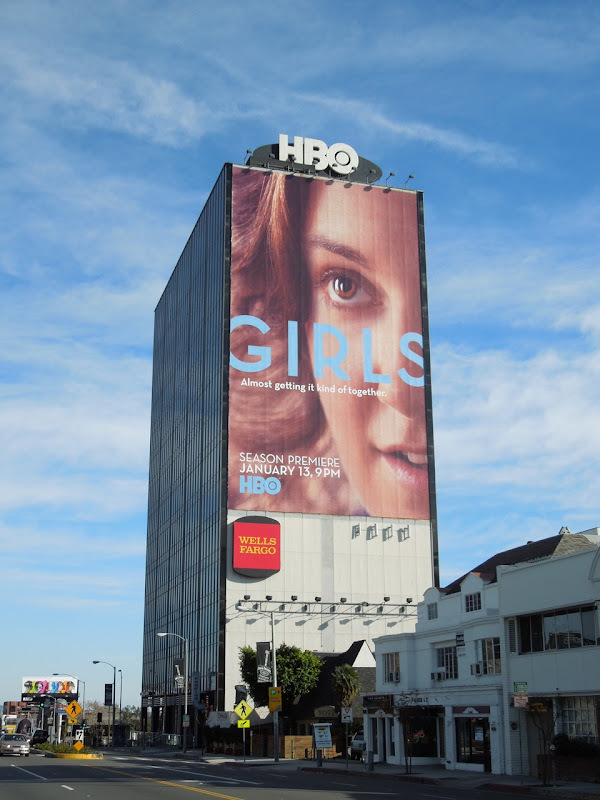 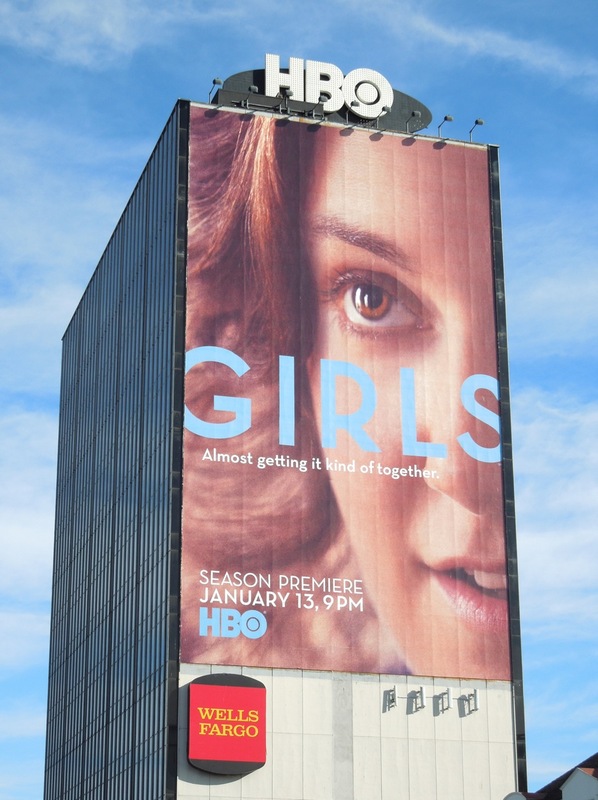 Lena Dunham and the Girls are back in a big way with this super-sized billboard for the second season of the critically-acclaimed and Golden Globe nominated comedy-drama. 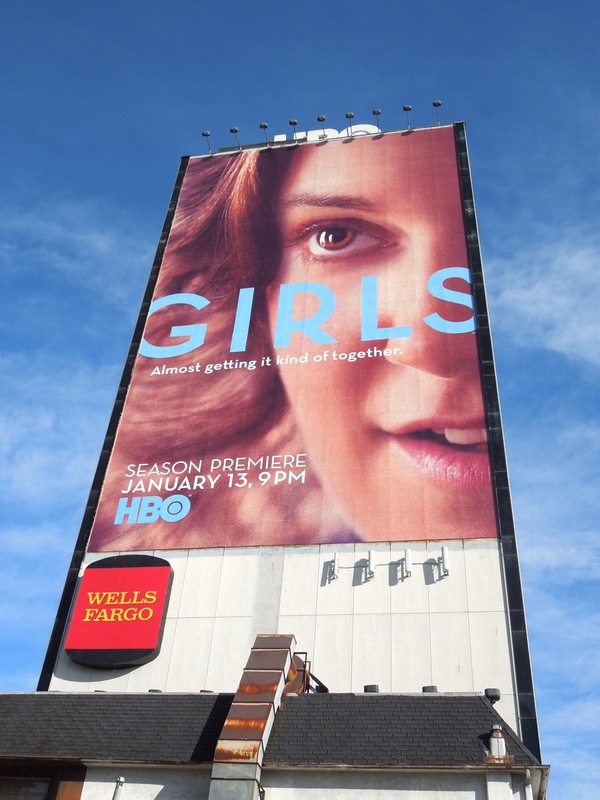 Aspiring writer 'Hannah Horvath' returns with her friends to navigate life in their twenties in Greenpoint, Brooklyn. Daily Billboard loves this fresh-faced sophomore season billboard, which stands out immensely with its unconventional close up of the actress's face along the Sunset Strip on December 15, 2012. 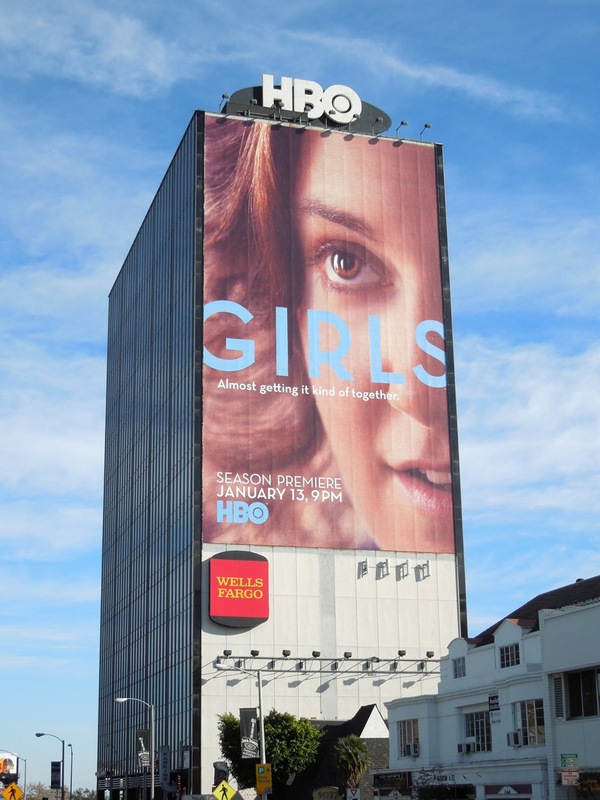 The smaller version was snapped close by facing the opposite direction on December 20, 2012. 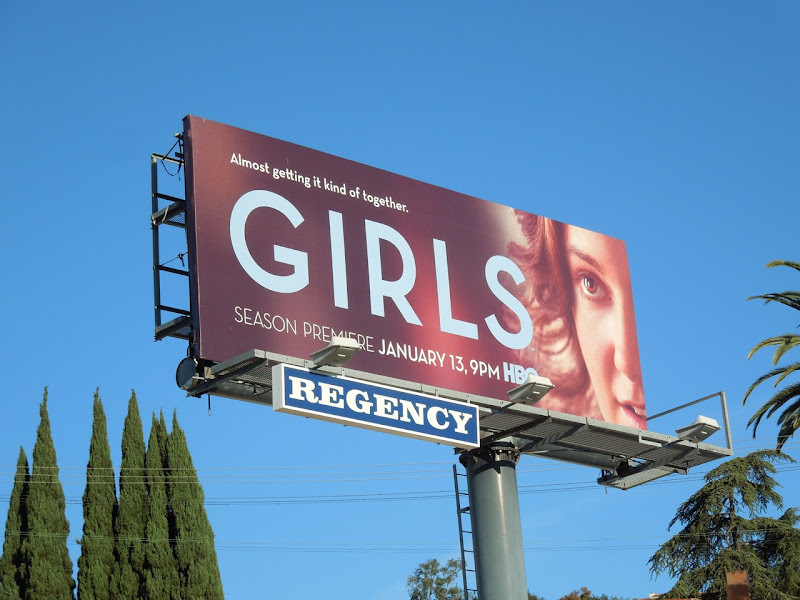 If you're a fan of the series based in part on the real-life experiences of Lena Dunham, be sure to check out these Girls season one billboards too. 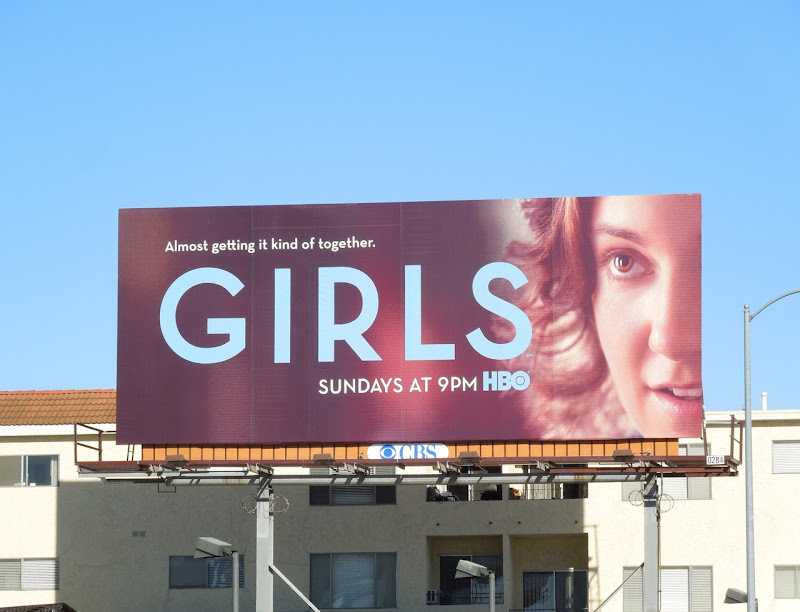 UPDATED: Following the success of Girls at the Golden Globes this year, snapping up awards for Best Comedy Series and Best Actress in a Comedy Series for Lena Dunham, Daily Billboard couldn't resist sharing another billboard for the critically-acclaimed and often polarizing TV show. 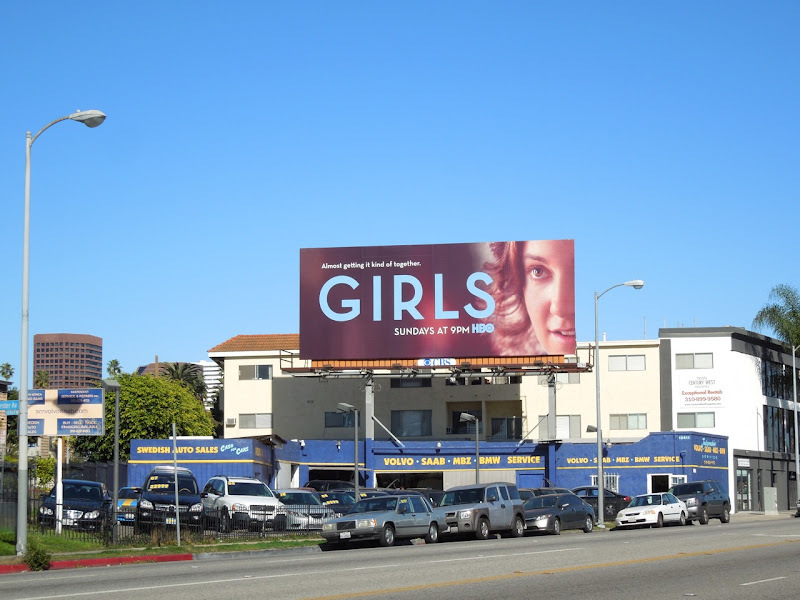 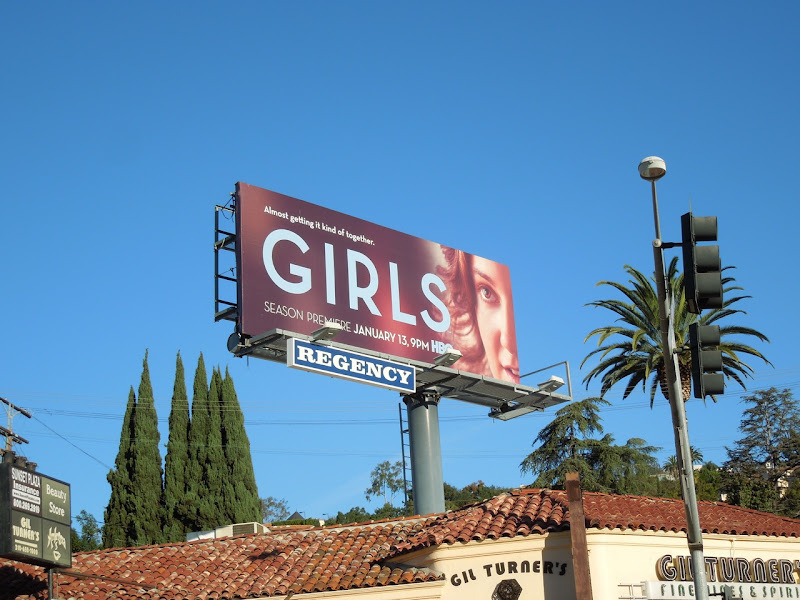 This large landscape creative for Girls sophomore season was snapped along Santa Monica Boulevard at Rochester Avenue on January 18, 2013.